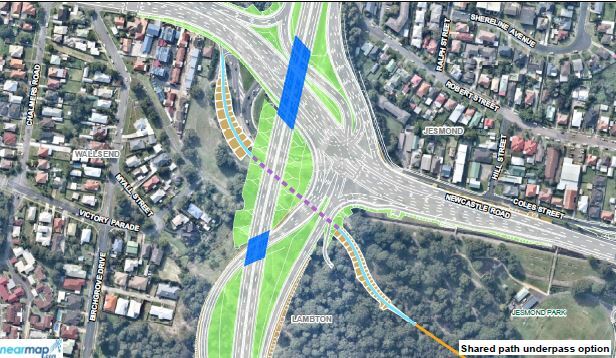 In Section 4.5.4 of the November 2016 EIS for the Rankin Park to Jesmond bypass, the planners ‘investigated’ and ‘costed’ two alternatives for maintaining the cycleway between Jesmond Park and Jesmond. I just get the feeling that both these options were put forward simply as ‘straw men’ in order to be dismissed, and avert objections that had been submitted. The first option is for a towering and twisting overhead bridge, like something out of a Dr Seuss book1, that would cost $30 million!!!! That’s surely a joke solution, like the obviously wrong answer examiners often put in a multiple choice question. And the second option proposed is for a subway that would cost $3 million, but is dismissed because (among other things) it would be subject to flooding. 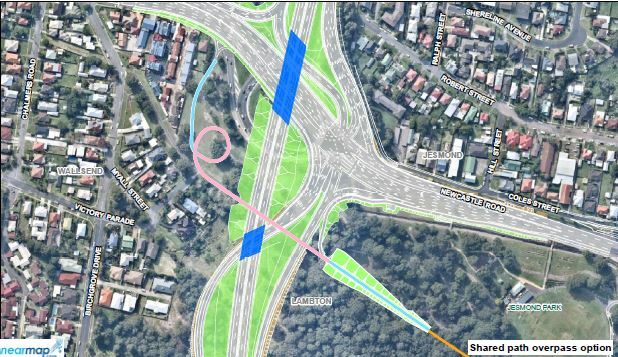 But seriously, if you’re going to propose a subway route (purple dotted line) that is along the lowest point in the landscape and right next to a stormwater drain – of course its going to flood! 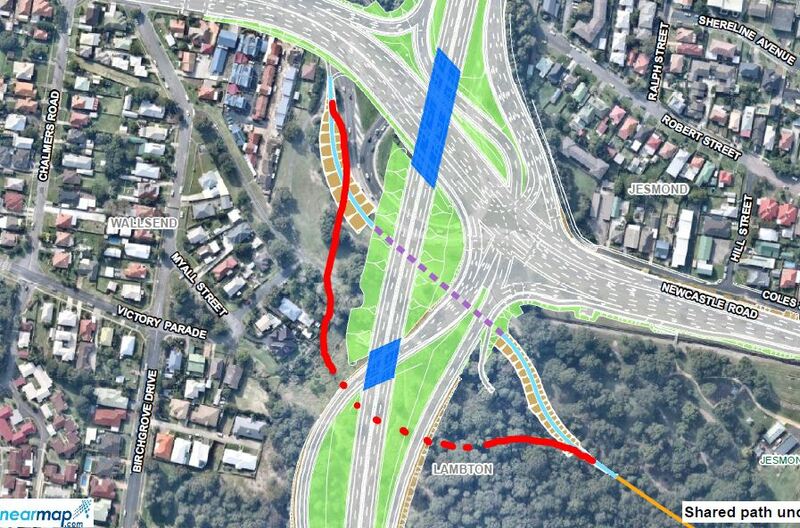 Why not route the subway 100m further south (red dotted line in the diagram below) where the land is 8 to 10 metres higher and not subject to flooding? I get the impression they’re not really trying hard enough to find a solution, and that they don’t really want to try. Refer to the Bunglebung Bridge, in “Did I Ever Tell You How Lucky You Are”, by Dr Seuss, 1973.